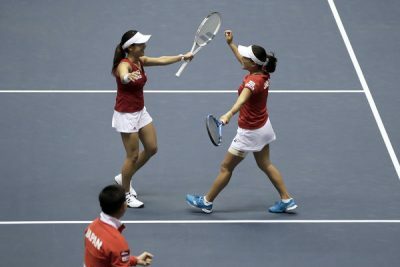 Great Britain lost their Fed Cup Play-Off 3-2 to Japan after defeat in the deciding doubles. Konta beat Osaka and Watson lost to Nara. 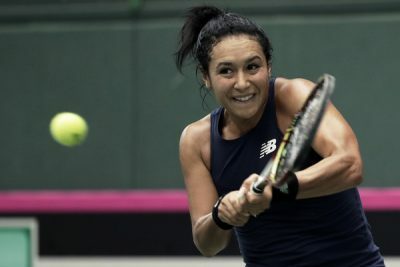 Great Britain missed their chance to qualify for the Fed Cup World Group for the first time since 1993 as they lost their Play-Off 3-2 to Japan. 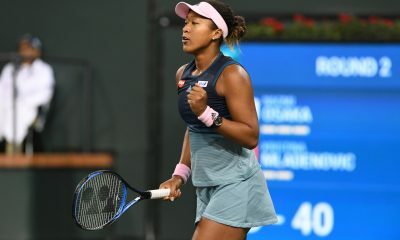 It was 1-1 going into the second day, and the scores stayed level after Johanna Konta beat Naomi Osaka 6-3 6-3 and Kurumi Nara defeated Heather Watson 7-6(7) 6-4. 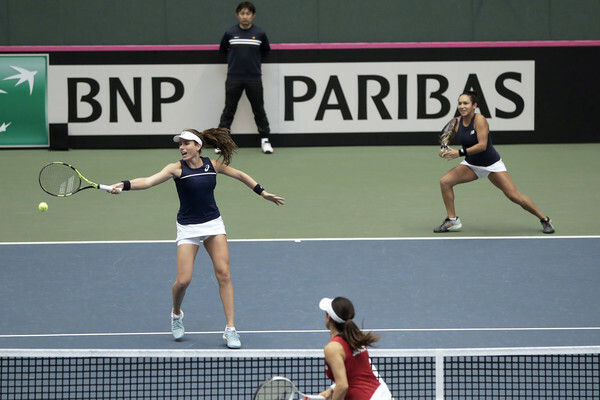 Konta and Watson then lost the deciding doubles 6-3 3-6 3-6 to Miyu Kato and Makoto Ninomiya to ensure their long wait to return to the elite 16 of the Fed Cup goes on. “We are gutted about the result. One day our opportunity will come,” Great Britain captain Anne Keothavong told BBC Sport. 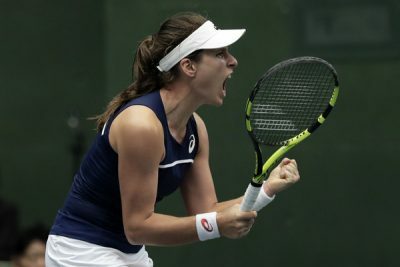 Britain started the day in fine style as Konta produced a stunning display to beat Indian Wells champion Osaka in straight sets. 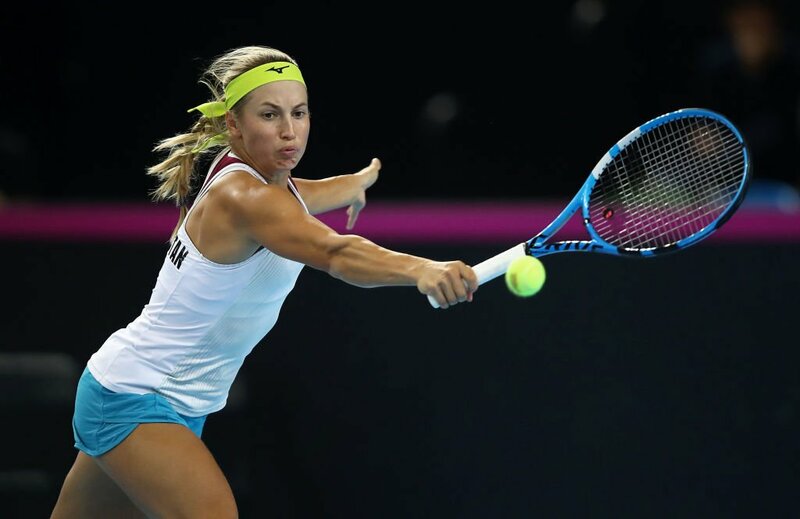 The 2017 Wimbledon semi-finalist struck the ball accurately and aggressively and remained rock-solid on her serve throughout as she won 74% of points on her first serve and 59% behind her second. This ensured Konta only faced two break points in the match. It also enabled her to swing freely against Osaka’s serve, and in game seven she did exactly that. After the Japanese double-faulted, the Briton crunched a forehand to draw an error. 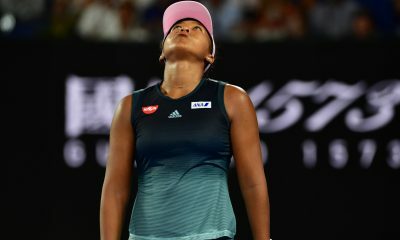 She then twice pinned Osaka behind the baseline with a series of very deep groundstrokes to earn break point and seal the break. It was a crucial moment for Konta, and she rode a wave of momentum for the rest of the match. She broke the Japanese again in game nine to finish the first set, and maintained her intensity in the second set to take it 6-3. Unfortunately for Britain, Watson was unable to capitalise on her teammate’s excellent win as she lost to Nara in disappointing fashion. It was comfortably the lowest-quality match of the tie as neither player was able to exert any kind of control on their serve. After Watson and Nara both broke twice in the opening seven games, the Briton earned a chance to serve for the set by getting a third break in game eight. However, Watson has lost nine of her last 11 matches and her lack of confidence showed as she played the game very poorly to lose her serve to love. The Briton’s failure to close out the set led to a tie-break, and she seemed determined to put her troubles behind as she hit a couple of excellent winners en route to a 6-3 lead. But the good times did not last as Watson was unable to take any of her three set points and ultimately lost the tie-break 9-7. She looked understandably dejected by that outcome and rapidly fell 3-0 behind in the second set. The Briton recovered well to level the score, but once again she failed to take advantage of the momentum. Watson made a sloppy error and a double-fault to gift Nara two break points in game eight. She saved one with a big serve, but surrendered the second with a poor backhand that went wide. Nara’s nerves defeated her and she handed the Briton a two break points and a lifeline in the match. Watson grabbed the second with a brilliant backhand into the corner. 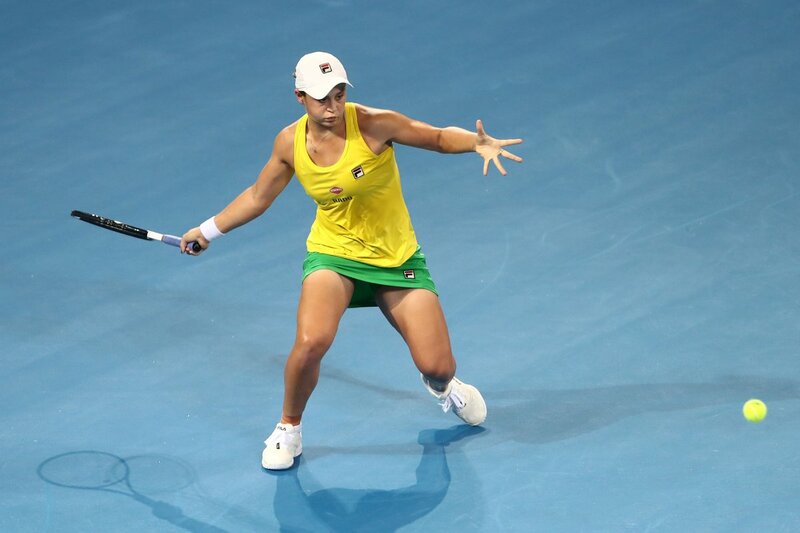 But there was one last cruel twist left as Nara played good, aggressive tennis to break the British No.2 for the sixth time in the match and clinch a vital win for Japan. That put all of the pressure on the final doubles rubber, and the greater doubles experience of Kato and Ninomiya made all the difference in the end as they fought back from a set down to win. Konta and Watson produced some excellent tennis to come back from 0-2 and win the first set 6-3. The higher-ranked Briton served well and her partner looked sharp at the net. However, Konta and Watson made a terrible start to the second set and slipped down 5-0. The British pair got one break back but the damage had been done and the confidence of the Japanese pair rose steadily as they took the second set 6-3. The deciding set was close and went with serve for the first six games. However, Kato and Ninomiya nearly gained the advantage in game five when they earned four break points. 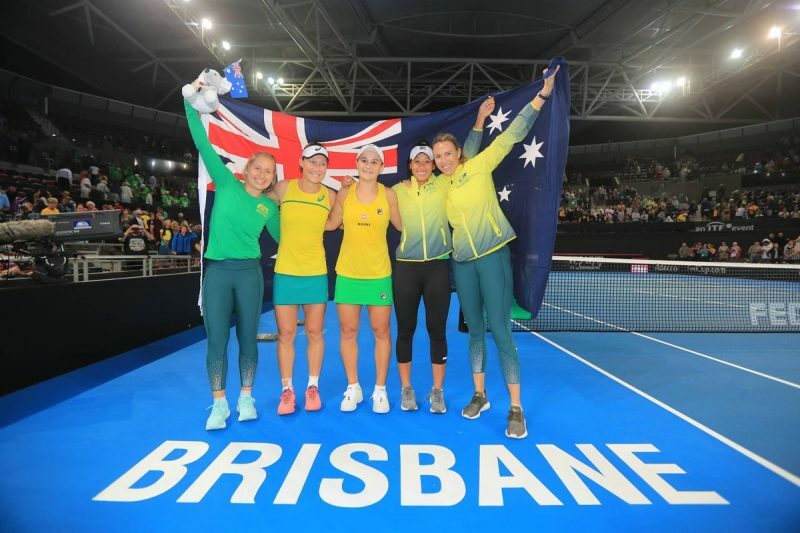 They did not manage to break through on that occasion, but Konta and Watson should have heeded the warning as they went on to lose their next two service games and, consequently, the match and the tie.